We keep fabric around 50+ bunches from Loro Piana, Dugdale Brothers, Solbiati and Standeven to name but a few, and the collection is every growing. Just last week we had another 4 new bunches in from Standeven and Loro Piana. The choices are staggering and its nigh on impossible to have samples of all the choices and fabrics…..there is just so much choice. This choice can be a blessing and a burden. Too much choice can lead to decision paralysis…..where you can’t see the wood for the trees and it feel overwhelming. Too little choice and you there isn’t enough to whet the clients appetite….its a tricky balance. The best way is always to listen to the advice from your tailor and when in doubt, trust their judgement. We have made hundreds of different garments and it gives us an excellent feel for how a fabric with make up and what it will look like. 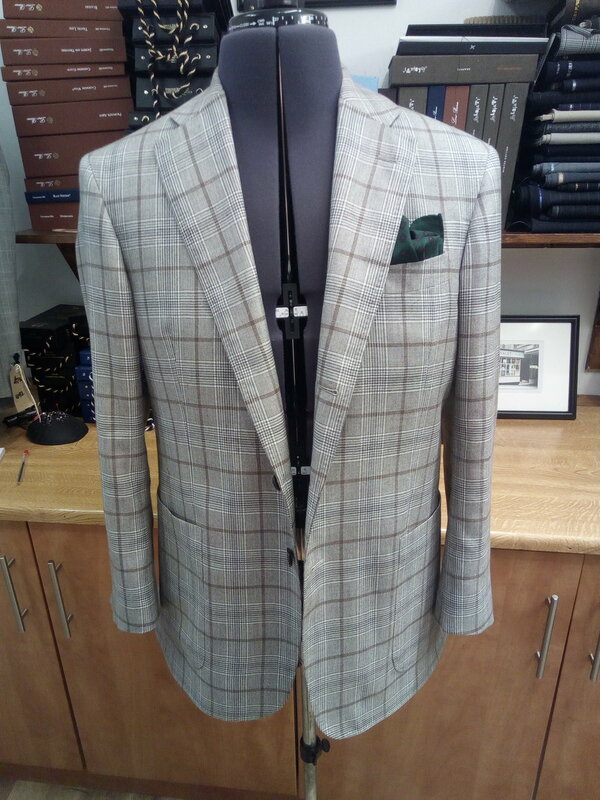 Our years of experience give us a great eye for fabrics and a outstanding feel for each client individual look. However, that said. 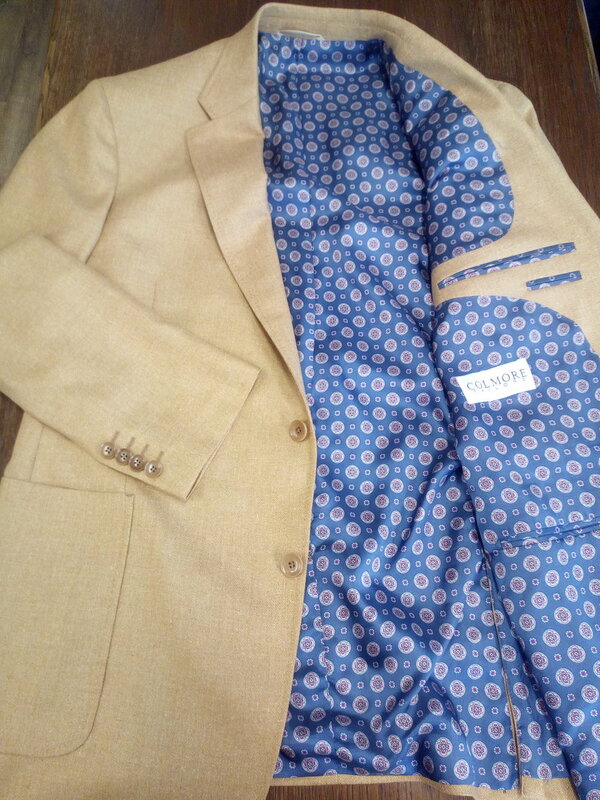 Its always good to have some pictures of different garments made up so you can see for yourself. So we launch our new COMPLETED COMMISSIONS page. Its a collection of garment that we have made in their finished states. Some are taken to show a certain fabric, others to show a style or weight. And some just because they look awesome….and thats what its all about. We hope this helps and any feedback on the gallery is most welcome!